Jeppe reveals there is a new LEGO Technic Challenge for this is year, starting around October, which replaces the traditional competition we had in the past couple of years. Well... let's wait and see what is it gonna be! Meanwhile you can read the original post at technic.LEGO.com and just guess why is Jeppe so excited, about the 2013 Technic line-up. I was indeed wondering why the "Take the Challenge" had not opened yet and I posted on Eurobricks about it. I'll link to the answer I received. 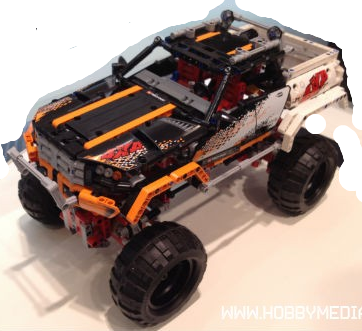 Didn't Lego say something earlier this year about an upcoming challenge this summer/fall to build the best body for the new 9398 Crawler chassis or something like that..? That's the kind of rumor I heard about too and getting a very special prize. I think that rumor came from a toy fair rep, either that or someone here just made it up thinking it would be a good challenge. But i'm VERY curious to know what he's so excited about with regaurds to next years line up.